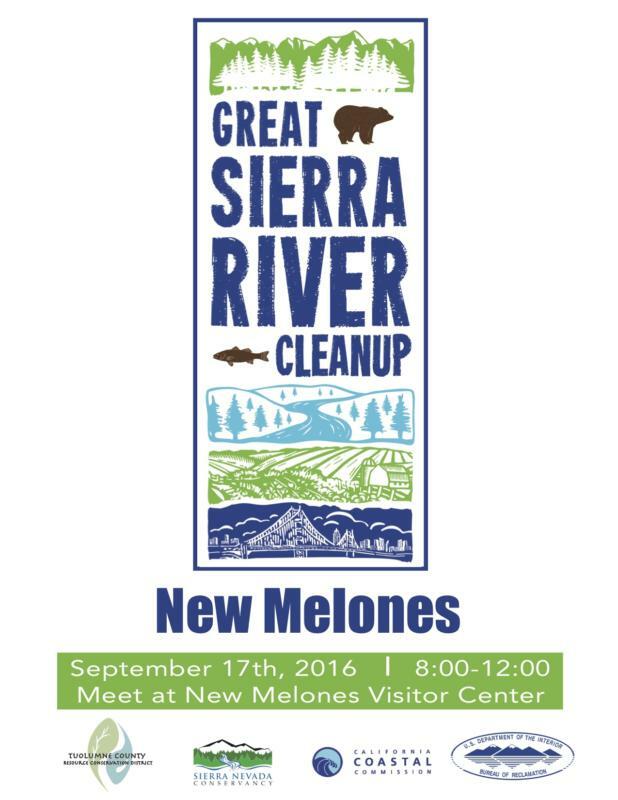 Please join the Tuolumne County Resource Conservation District and the Bureau of Reclamation for the annual Great Sierra River Cleanup at New Melones on September 17th, 2016. Registration will begin at 8:00am in the Visitor Center parking lot and work will begin at 9:00am. Breakfast treats will be provided as will trash bags and gloves. 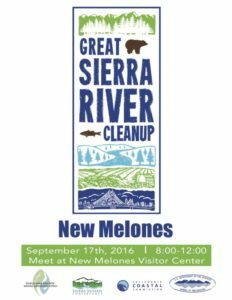 Please wear sturdy shoes, sunscreen and bring a reusable water bottle. This clean up is family friendly and open to all levels of mobility. Personal kayaks and boats are encouraged! If you have questions or concerns, please email kara@tcrcd.org. Thank you to our local Safeway, Grocery Outlet and Save Mart (Mono Way) for their generous breakfast donations!